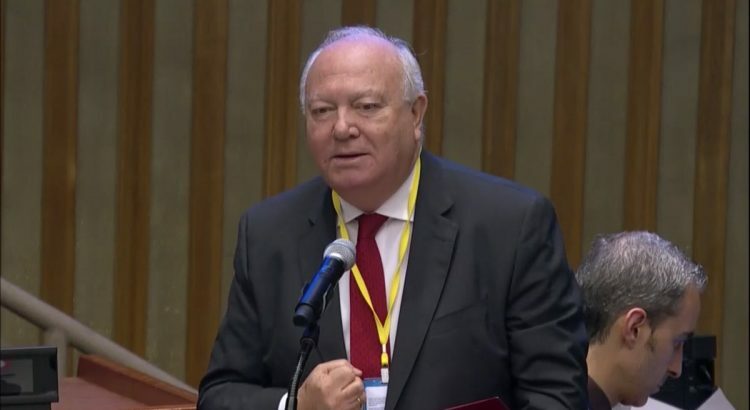 Following consultations, United Nations Secretary-General has appointed Miguel Ángel Moratinos Cuyaubé of Spain as his High Representative for the Alliance of Civilizations, from 1 January 2019. Mr. Moratinos succeeds Nassir Abdulaziz al-Nasser of Qatar, to whom the Secretary-General expressed his gratitude for his vision and leadership in enhancing dialogue with stakeholders and strengthening the work and objectives of the Alliance. Mr. Moratinos has committed his professional and political career to international relationships and development cooperation, notably as Minister of Foreign Affairs and Cooperation (2004-2010), holding the presidency of the United Nations Security Council and chairmanships-in-office of the Organisation for Security and Cooperation in Europe (OSCE), the Council of Europe and the Council of the European Union. As Minister, Mr. Moratinos fostered effective multilateralism, the Alliance of Civilizations, the Group of Friends for the Reform of the United Nations and contributed to the creation of innovative programmes for development, healthcare and women within the United Nations system, doubling his country’s Official Development Assistance funds. He later joined parliamentary activity (2010-2011) targeting international action towards the struggle against hunger and poverty, the promotion of food security and the right to food. He joined in 2012 the team of the Global Dry Land Alliance in Qatar, promoting the International Food Security Treaty and the International Treaty for a Global Dry Land Alliance, including as member of the high level advisory panel of the president of the 67th United Nations General Assembly. Mr. Moratinos served at the national level as General Deputy Director for Northern Africa (1987-1991), Director of the Institute of Cooperation with the Arab World (1991-1993) and General Director of Foreign Policy for Africa and the Middle East (1993-1996), taking part in the organisation of the Middle East Peace Conference in Madrid in 1992. He began his diplomatic career as Head of the Coordination Section for Eastern Europe (1977-1980) following which he was appointed First Secretary and ultimately Chargé d’Affaires of the Spanish Embassy in former Yugoslavia (1980-1984) and Political Adviser in Morocco (1984-1987). After being Spain’s Ambassador in Israel (1996), he was appointed by the European Union as Special Representative for the Middle East Peace Process (1996-2003), promoting the Peace Agreements and carrying out actions on behalf of the European Union to foster the Arab-Israeli dialogue. Born in 1951, Mr. Moratinos graduated in Law and Political Sciences at the University Complutense in Madrid, and then in Diplomatic Studies at the Spanish Diplomatic School. Honorary doctorates by the Universities of Saint Petersburg, Malta, as well as by the Ben-Gurion University, in Israel, and the Al-Quds and Tel Aviv University. He teaches at Sciences Po Paris since 2011.